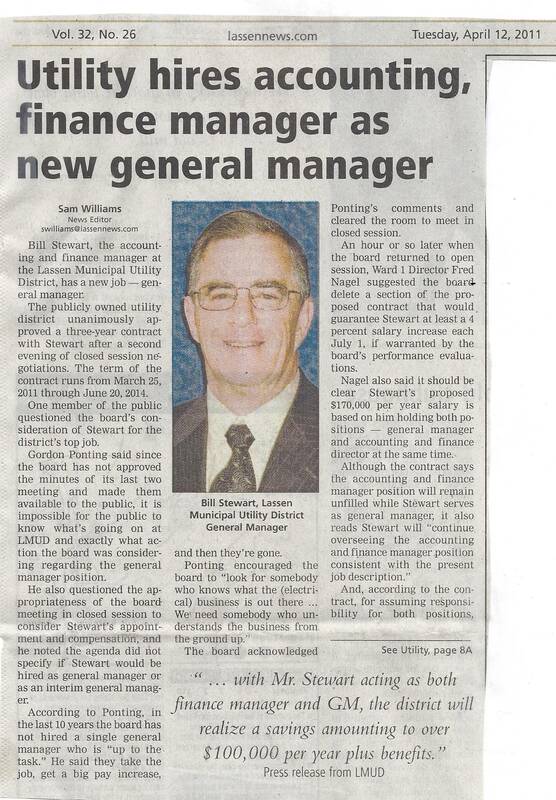 Luhring leaves 3/25/11 with a $26,000 "Lump sum" Consulting contract to keep him quiet. Frank Cady left with over $100,000. Bill Stewart's contract violates the law. 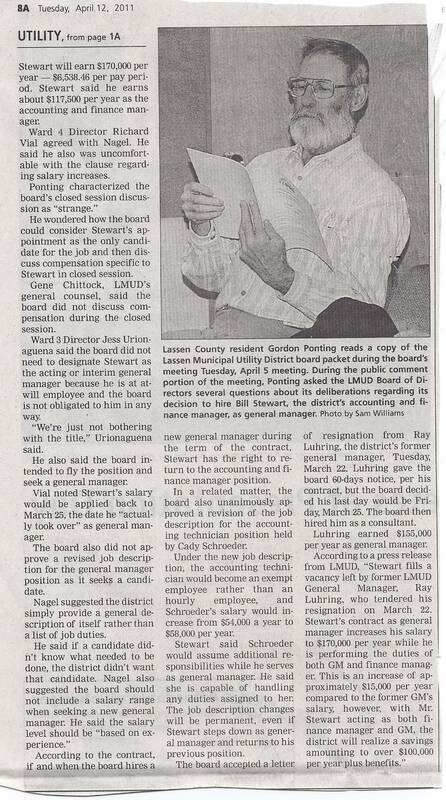 LMUD can only combine two offices into one, but cannot allow one officer to hold two conflicting offices.